A new version of Hyundai Equus has been previewed in Seoul. The upgraded version will start arriving to the American market, early in 2013. The new version includes a new style of wheels and less chrome used on the front of the vehicle. There was commentary in the media that the new Equus, will featured 10 speed automatic transmission.This kind of feature will allow better performance and fuel savings. 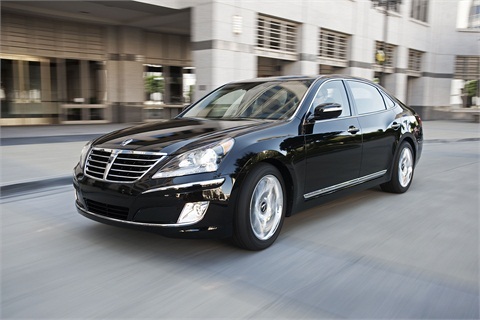 The 2013 Equus has 5 lt v8 engine and a 420 horse power, complemented by an 8 speed automatic transmission. It selling price is $60.000.